I’ve created a digital, tongue-in-cheek campaign to intrigue and excite students about the Student Art Pass. Everyone likes to feel part of a community, especially a secretive, sophisticated club. Introducing - Pretty Damn Cultured. 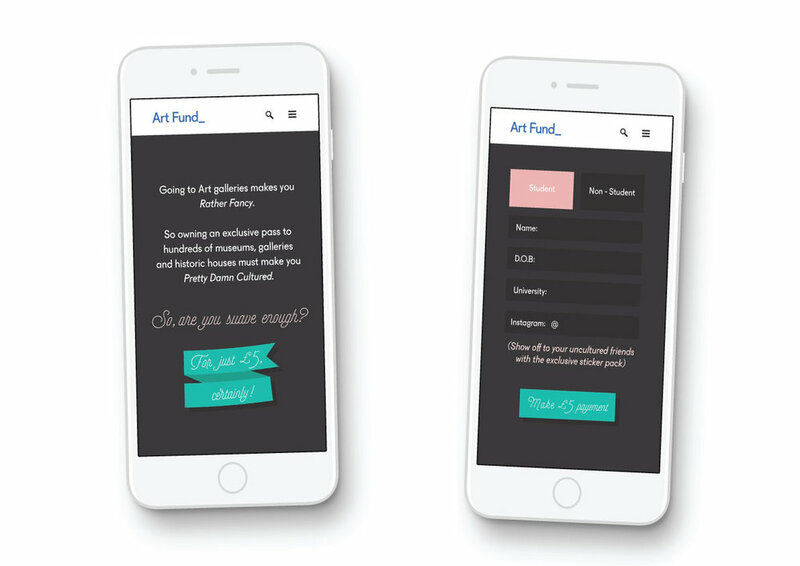 The Art Fund has partnered with Instagram to create an exclusive range of stickers for students who have pre-ordered the Art Pass. 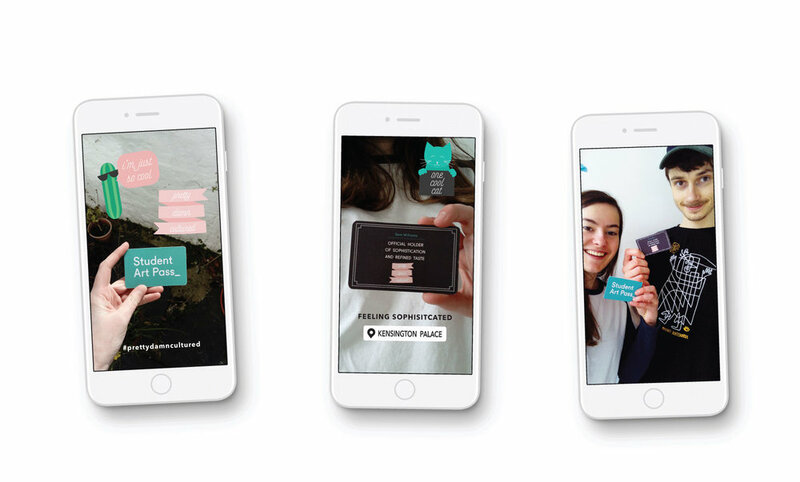 Students can share these new stickers on their stories. If people are curious about these unfamiliar stickers they can click on them to find out more. The stickers would be linked to a landing page with more information and how to sign up. I also created a set of posters which could be promoted on the Art Fund and university social media. Once a student is part of the exclusive club they receive their physical Art Pass which has a ‘certificate of sophistication and refined taste’ on the reverse side. The Pretty Damn Cultured campaign aims to add excitement, humour and intrigue about the exclusive Art Pass.